Self Adhesive Labels are free from inconvenience of manually gluing and pasting the labels which is time consuming as well as expensive. They are easy peel labels. qThey are peel and stick back which makes its most popular form of labeling used in the market. They are used in various industries as in Apparel, electronics, wooden and retail industry as they not only give identification to the product they are used on, but are also a popular tool of promotion. They come in various designs and forms with multiple colors and high quality. Cosmetic Labels are required on many different beauty products, mostly lip balm, soap, lotion, essential oils, pressed make up, shampoo, etc. the most preferred and widely used labels are white or decal as it adds to the high clarity. Most of these cosmetic product demand water-resistance because of their nature, therefore we add water proof layer in to our Cosmetic Labels. We provide attractive range of cosmetic labels full of creativeness and at the same time totally customizable. It gives the information like ingredients, statuary warning etc. 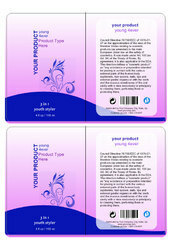 Food Packing Labels are widely popular in the sale of packed food and drinks. These labels are significant as they provide the visual display of the product inside with its ingredients and other details (manufacturing, expiry, batch number). We provide the quality label which is designed with multi layer of protection that brings in the longevity. 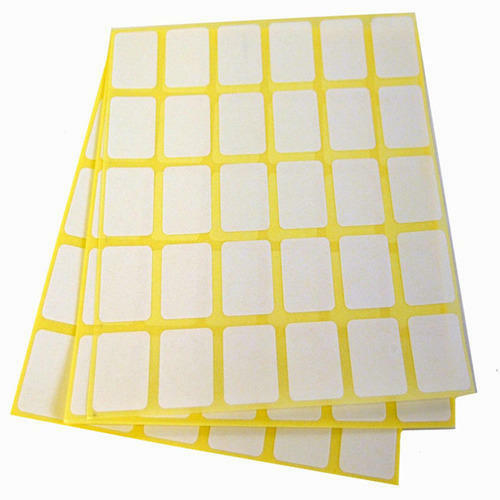 The labels are highly adhesive and can hold up moisture and abrasiveness. They are applied on grain packs, beverages, grocery products, etc.